David Flowers, 2016 alum, has been producing a concert series in Evanston, IL. Its upcoming concert is on October 27th, 2017 at 7:30 pm. Details are in the flyer down below. 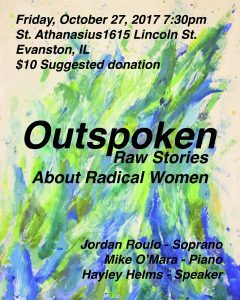 The concert will feature a program of contemporary women composers setting texts about women and politics. The program will be presented by Joran Roulo (Fresh inc. 2016), accompanied by pianist Mike O’Mara, and violinist Rachel Peters. 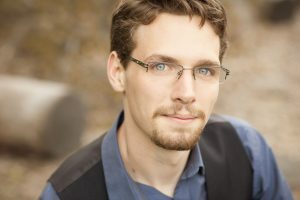 Additionally, David was recently commissioned by the Bengtson family to write a work for Chamber ensemble. Collaborating on the project are all Fresh Inc 2016 alum including Susan Bengtson, Alex Hoelzen, and Jordan Roulo (all Fresh inc 2016). The premier is set for the summer of 2018.